Not only is excessive sugar in the diet dangerous to overall health, it contributes immensely to the obesity epidemic we now face and has led to the huge increase in Type II diabetes we see in younger ages. 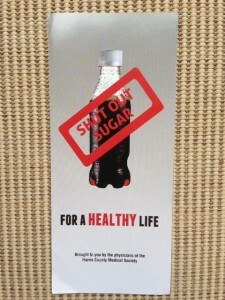 Sugar sweetened beverages have been found to make up half of the increased sugar in our diet, and drinking one less sugar sweetened beverage a day, such as a cola, would dramatically improve our health. During my tenure as president of the Harris County Medical Society (HCMS) in 2013, one of my key initiatives was to create the Personal Responsibility Committee. 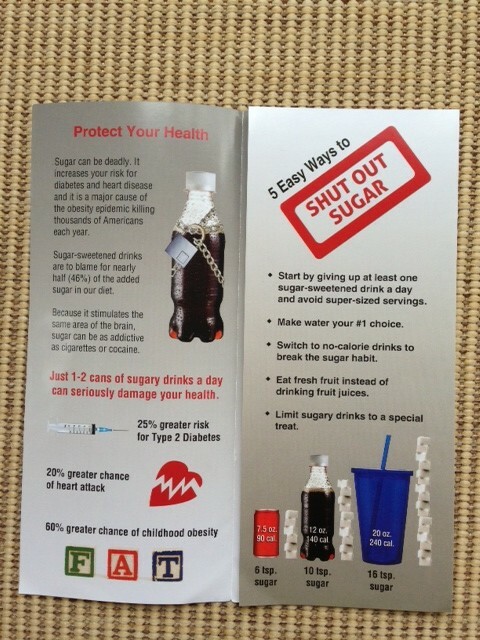 This committee developed the Shut Out Sugar program, which included a brochure and website, to increase patients’ awareness of how sugar-sweetened drinks increase their risk of diseases, as well as adding to the waistline. 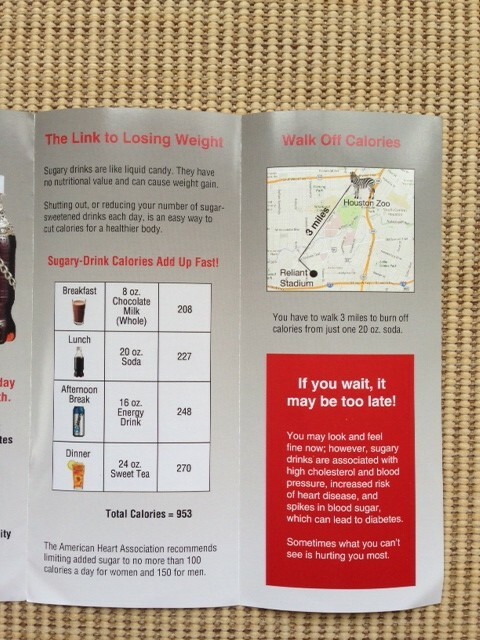 The brochures have been distributed to physicians, schools and many government related agencies and non-profit groups helping to battle the obesity epidemic and is available through HCMS. HCMS was fortunate to receive grant funding from the Texas Medical Association Foundation to assist with the Shut Out Sugar campaign. 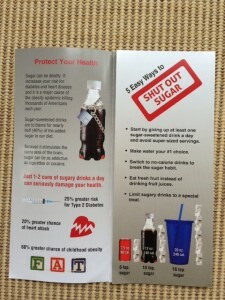 I am so pleased to see physicians and other members of our community embrace the Shut Out Sugar campaign. It is gaining some great momentum. 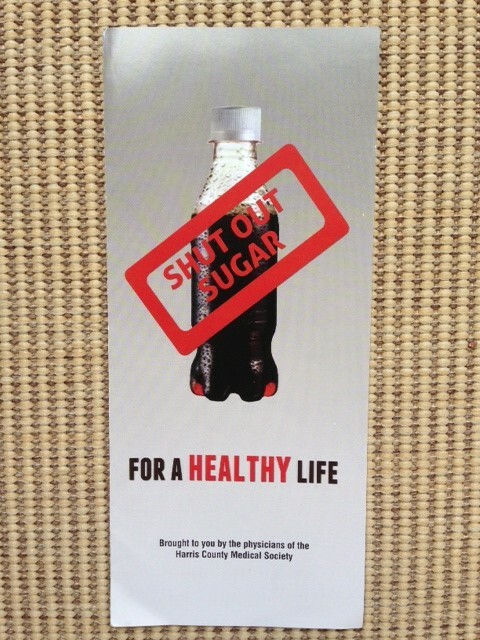 Please check out the Shut Out Sugar educational video done by Dorothy Cohen Serna, MD and North Cypress Wellness posted on YouTube. Feel free to share the YouTube video and Shut Out Sugar website links with your entire social media community. The more people that get exposed to our message, the greater the positive impact on the health of the members of our community. We need to drink more water and not supersize sweetened beverages! 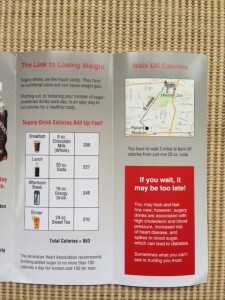 This entry was posted in Home, Obesity, Personal Responsibility and tagged Harris County Medical Society, Obesity, Personal responsibility, Russ Kridel MD, Russell Kridel MD. Bookmark the permalink.